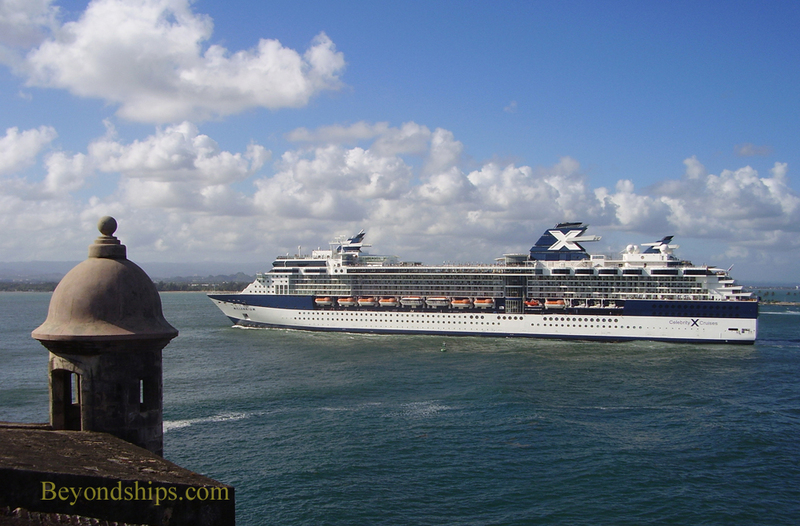 The first sight cruise visitors often see of San Juan is the Fuerte San Felipse del Morro. 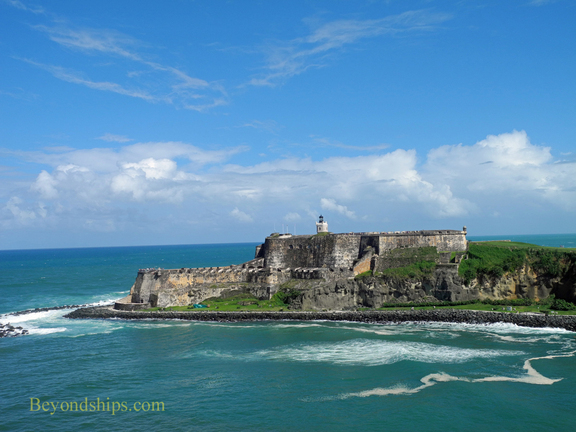 This powerful fortress sits on the rocky headland at the entrance to San Juan Bay and so ships entering the harbor must pass beneath it. 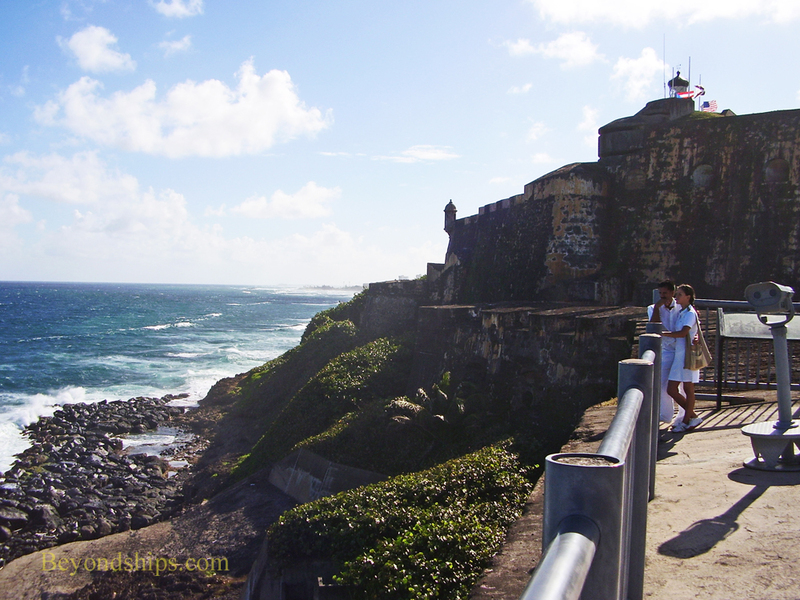 El Morro was constructed in order to defend San Juan from attack by the sea. It actively did so several times, including the attack by Sir Francis Drake in 1595, the Dutch attack in 1625, and Sir Ralph Abercrombie's attack in 1797. Indeed, the fortress was given additional defense during World War II in case of an attack by Axis forces. 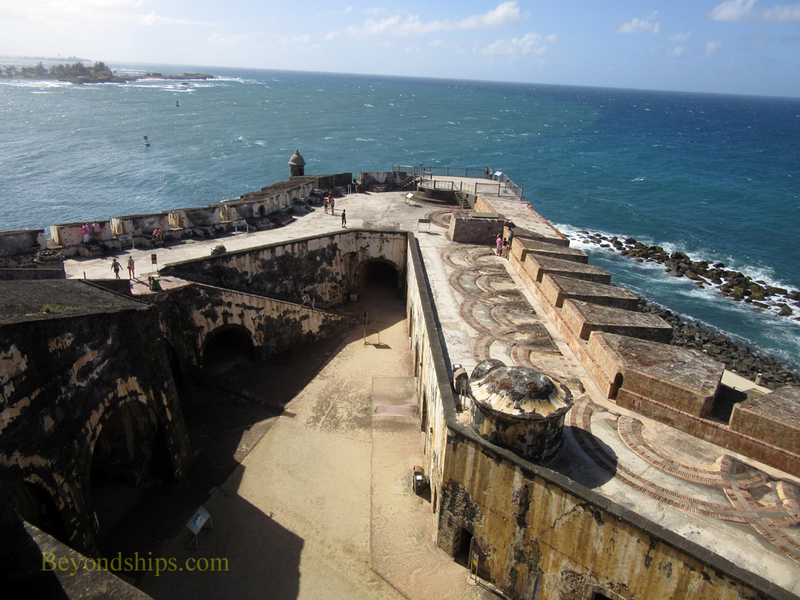 Today, El Morro is both a National Historic Site and a World Heritage Site. It is operated by the National Parks Department. 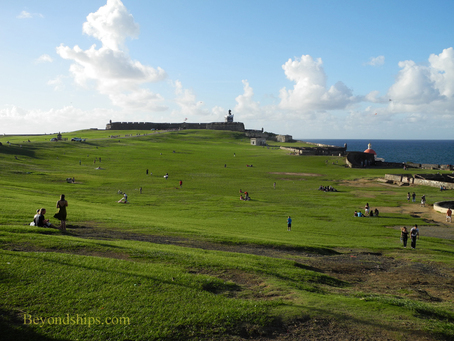 The vast green fields adjoining El Morro on the landward side are popular with locals for kite flying and picnics. Immediately across the field from El Morro is an impressive building that was once an insane asylum. Today, it is the the School of the Arts. 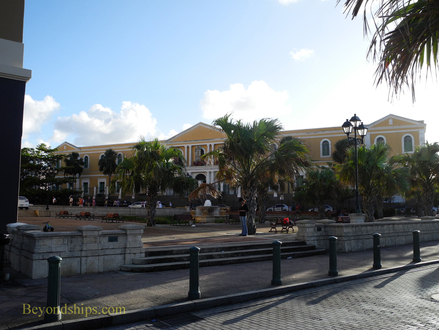 Also adjacent to El Morro is a large plaza marking the 500th anniversary of the European discovery of the New World and Puerto Rico. 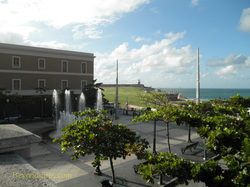 Each element of the plaza, relates to an aspect of Puerto Rico's history. 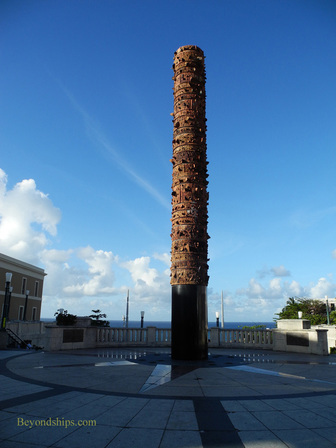 The dominant feature, however, is the 40-foot high Totem Telúrico by Jaime Suarez. It includes ceramic copies of various archeological finds and is a tribute to the discovery of the New World. 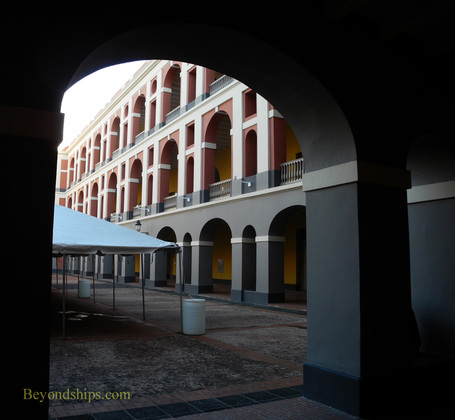 Built as a military barracks, this is one of the largest buildings from the Spanish colonial era. After the Spanish American War, it was used by the United States military as a barracks and later as a medical facility. Today, it houses the Museum of the Americas. Its permanent exhibits include an exhibit on the Indian in America and one on the African heritage. 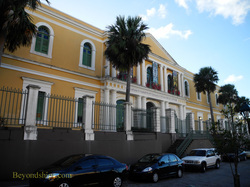 On the second floor is the Museo del Indio, which focuses on the indigenous peoples of the Caribbean. 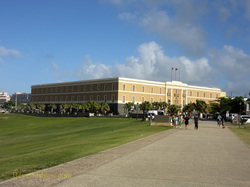 Across the Plaza del Cuartel Ballaja is a neo-classical building that is now the headquarters of the Puerto Rican Institue of Culture. Originally, built in the mid-nineteenth century as a refuge for orphans, the destitute and the elderly, it was a U.S. Army facility for 45 years in the 20th century. Not far from the Museum of the Americas is a small park popular with strollers and students from the School of Art. The modern statue that dominates the scene is dedicated to Puerto Rican intellectual and educator Eugenio Maria de Hostos, known as the "Citizen of the Americas"